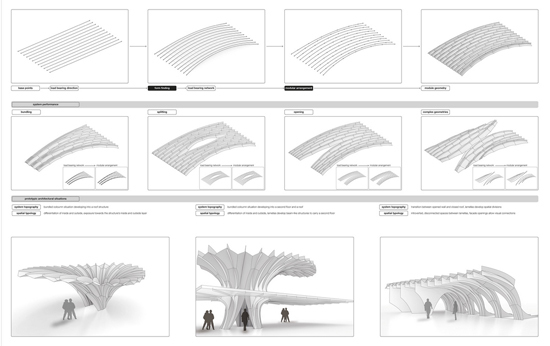 Connecting Intelligence is the Diploma thesis project of Oliver David Krieg presented at the University of Stuttgart, this project deals with the development of elastically bent plate morphologies based on robotically fabricated finger joints in architecture. 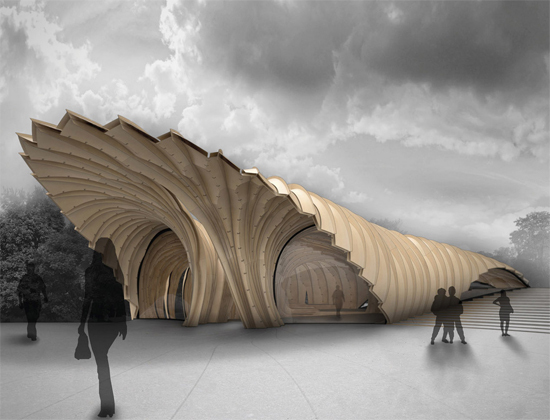 This research project aims to investigate both the possibilities and the impact of integrating material behavior and robotic fabrication in architectural design, using the example of lightweight plywood timber construction. 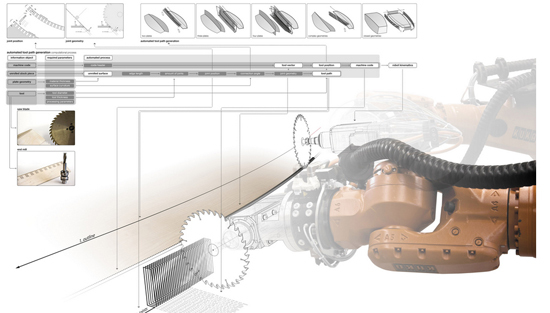 In this process the possibilities of computational and bio-mimetic design methods for integrated and context oriented design strategies is incorporated in self organizing material effects of form finding and the production logic of robotic fabrication. 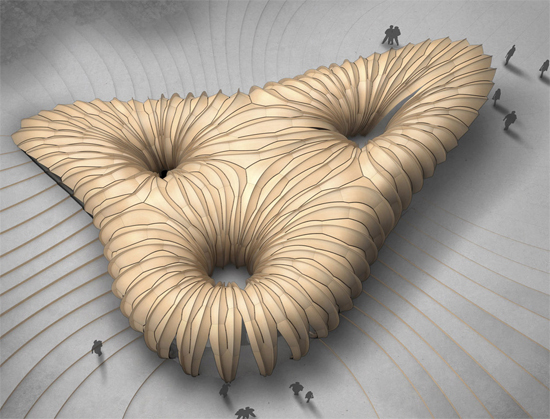 Connecting Intelligence from Oliver David Krieg on Vimeo.